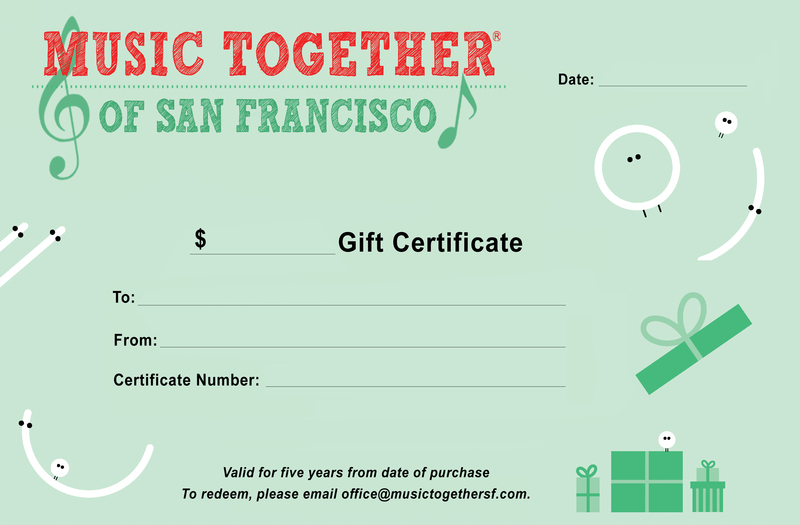 Music Together of San Francisco - Give The Gift Of Music! The perfect gift for a grandchild, family member, or new parent. Valid for five years from date of purchase. To redeem a gift certificate, please email us.